Halloween is coming to an end and I’m sitting here reminiscing through Google Photos and our past 7 years of costumes. Thought I’d share them with you all! 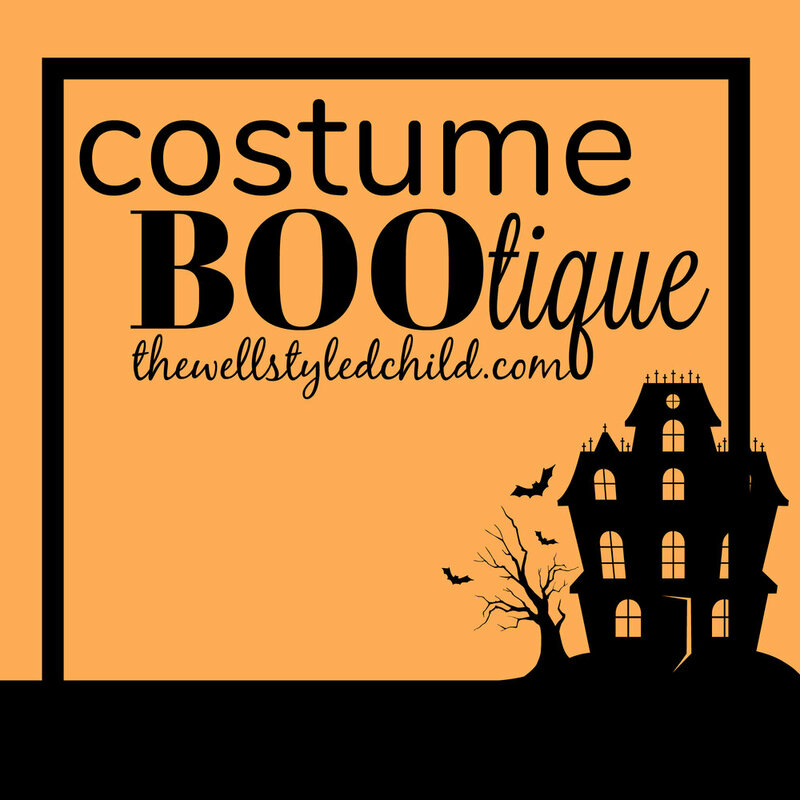 I love a well-styled costume!! Age 1 and wearing the most adorable owl costume from Pottery Barn Kids with her baby Uggs! 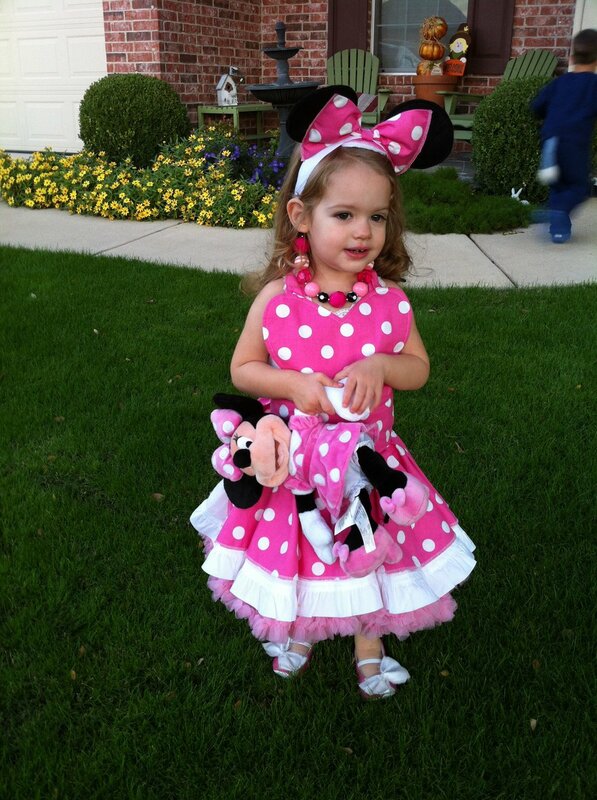 A week after her 2nd birthday, wearing this Minnie inspired costume from our favorite, Ross and Rosie Designs! I forgot how hard it is to get a 2 year old to pose and smile for the camera! You never know what kind of Halloween weather you’ll get in Texas, this year was rather warm! Holiday’s Birthday is a week before Halloween. This was actually her birthday costume/outfit for her Sheriff Callie 3rd Birthday. It was designed and made by a local seamstress. 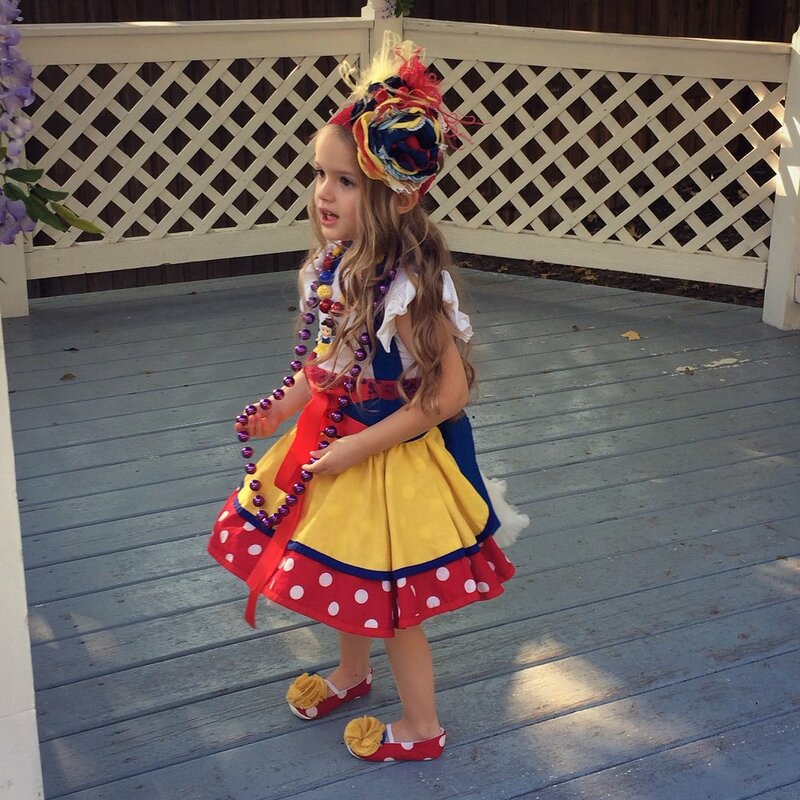 Her official Halloween costume for 3 year old Halloween was Snow White- again by Ross and Rosie Designs. One of my all time favorites, GORGEOUS! Now we’re onto age 4 and she had ALL her own ideas of what dressing up should look like! Cut the Sugarplum Fairy from her beloved Nutcracker! She’s wearing Tutu du Monde along with custom fairy wings from Arabella’s Vintage Wardrobe. Rosette Headband from the Ruffled Cupcake, glitter crown headband from H&M. It was a cold night in TX- had to add tights, a fur vest and long sleeved leo underneath! Birthday #5 was technically Cinderella themed, but she wanted to be Rapinzel! Another beautiful costume designed by Ross and Rosie Designs! I love these dress up aprons. They are SO fun and perfect for all our Disney trips too! Ross and Rosie also designed the headpiece and did a fantastic job of matching Holiday’s actual hair color! Ross and Rosie also did this fabulous Cinderella inspired pink dress up apron for us! Jaq and Gus are from Kohl’s a few years back! Age 5 and she decided she wanted to be Mary Poppins, in her Jolly Holiday costume of course!!! This one was also designed by Ross and Rosie Designs! 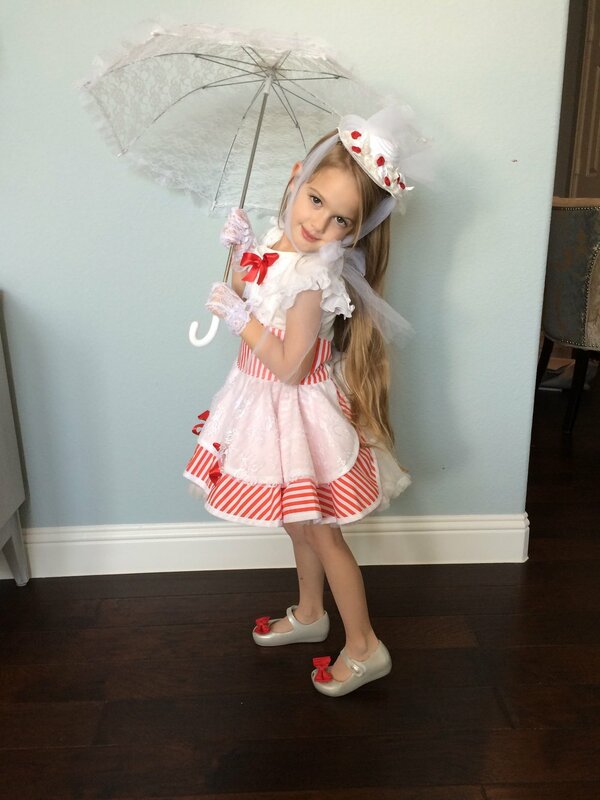 Her little hat is fro Hat and Mouse, shoes are Mini Melissa, parasol and lace gloves from Amazon. 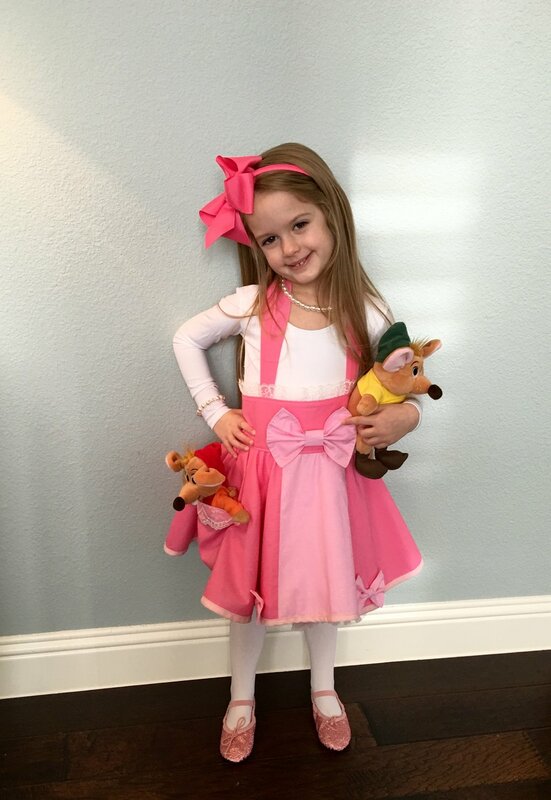 After a summer excursion to New York City in the summer, she was sure she needed to be Eloise for her 6 year old Christmas! We picked up this adorable outfit at none other than The Plaza Hotel. If you love Eloise as much as we do, you’ll understand the significance! This year’s costume she decided a year ago- Shimmer from Shimmer & Shine! This costume is from Bailey and Ava on Etsy!